Blog What is Inbound Marketing? There is a new form of marketing out there, a non-intrusive, customer-centric and holistic marketing that captures the interest of your audience naturally. It is called inbound marketing. This new marketing model is a combination of organic and/or permission-based marketing strategies focused on attracting your prospects via content that first serves and satisfies them and then naturally drives them to your platforms. Here you can engage with them and provide value that builds trust. In today’s noisy world you need to fight for your customer’s attention more so than ever. Instead of joining this fight, inbound marketing helps you to take a step back and evaluate who your customers are, what they really want, what problems they are facing and how you can help them to solve these. While putting your solutions out there, without first asking for a credit card, your prospects gain value that they will appreciate and this will help them to be pulled inbound without the need for you to spend on advertising pushing your advertising outbound. Outbound, or traditional marketing and advertising uses conventional media ads, such as radio and TV advertising, video ads, cold calls, popups and paid social ads and SMS messages. It is more often annoying, interruptive and intrusive than helpful. It used to work in the past, when companies and brands use to have all the power and information and when customers’ attention span was longer. Today these techniques are still working, however less and less effective. They cost a lot and rarely allow for interactive communication between your brand and your customer. In contrast, inbound marketing is all about a higher form of understanding the customer and their needs, providing them great value in form of helpful and useful content and educating the customer about the choices and options they have. Once the trust has grown to a level, where the prospect is comfortable with the brand, the customer acquisition is a more smooth and natural process when the customer is at the stage of buying. 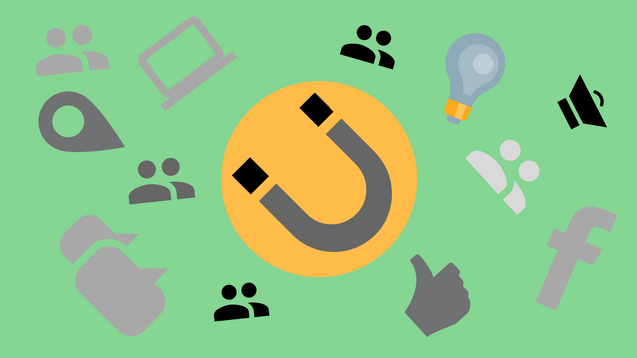 What inbound then uses is a thoughtful customer retention and relationship building, in the form of strong customers success focus. Inbound uses techniques such as SEO, opt-in email marketing, owned social media and thought leadership very effectively and successfully. These help to funnel the prospect inbound at the stage where they are looking for solutions, information, and answers. In the future, I see inbound marketing growing as a marketing practice and mindset, as it leads to a better form of marketing and reaching out for your prospects.